What happens when water leaves your house? You likely don’t ponder this question on a regular basis while utilizing city water or listening to rainfall pelt your roof, yet its answer proves vitally important to the health of Lakewood’s water supply. Knowing Your Home: Sewer & Drainage Systems – the latest installment of LakewoodAlive’s home educational series – sought to address this question when residents convened at the Lakewood Waste Water Treatment Plant on Saturday morning, May 14. There, Lakewood’s Director of Public Works Joe Beno and his colleagues led a presentation, provided a tour of the treatment plant and fielded an array of questions regarding how the city’s Clean Water Lakewood mission applies to residents. The dialogue ranged from techniques to remedy water issues that arise from rain to how home water drainage systems interact with the city’s water system. 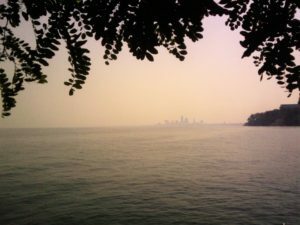 The Clean Water Lakewood task force strives to identify the best paths forward for water pipeline infrastructure in Lakewood, seeking to control sewage overflows into Lake Erie. Ultimately, simple measures by individual residents such as disconnecting downspouts into splash blocks and incorporating rain barrels can have a major impact on Lakewood’s ongoing efforts to ensure clean water goals are met. Fittingly, light rain fell during the treatment plant tour, though it did little to dampen the spirits of residents who took advantage of this unique opportunity. The educational experience, after all, was hardly watered down. 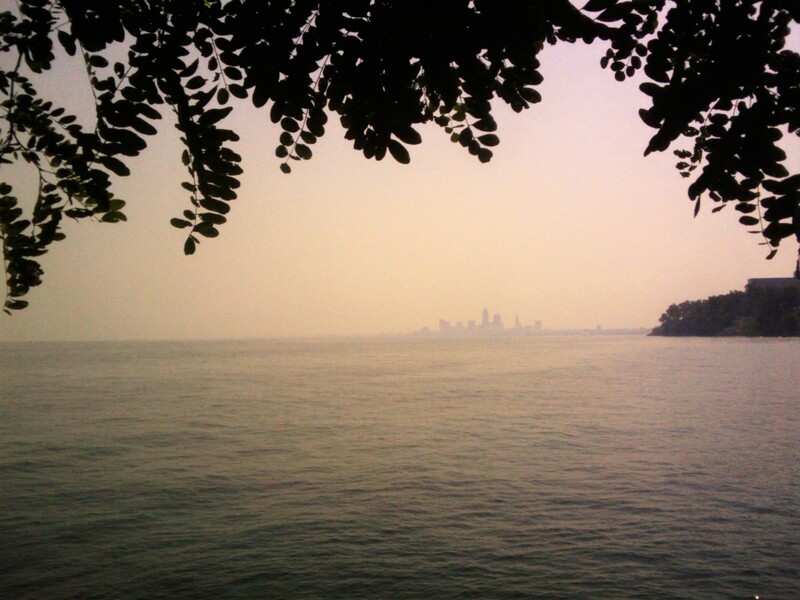 Lake Erie, as viewed from Lakewood Park at dusk. Area homeowners don’t have to wait long for another Knowing Your Home workshop. LakewoodAlive’s next home educational event – Knowing You Home: How to Contract a Repair – takes place this Thursday, May 19, from 7-8:30 p.m. at the Lakewood Public Library, Madison Branch. This FREE workshop will focus on the process of working with a home repair/improvement contractor, aiming to remove the guess work from your future projects in order to save you time, money and sanity.